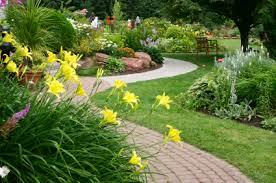 Gardening Doncaster and Thorne gardener service. At Southwood Gardening we provide a comprehensive and personal solution to all of your garden needs. At Southwood Gardening we pride ourselves on delivering the highest quality professional service at the best price in the Doncaster and Thorne areas. We are setup to be flexible and tailor our services to the individual customer, from large industrial cleaning to individual lawn care packages. All of our staff are insured and trained to use their equipment to the highest level of operation and safety awareness. This is why we are the premier gardening service in the Thorne and Doncaster areas. For a list of services we provide follow the headings under Our Services. To arrange a FREE survey and quotation please go to the contact us section, call us on 07973 176802, or direct email southwood_gardening@hotmail.com. Thank you for your interest we hope to hear from you soon.